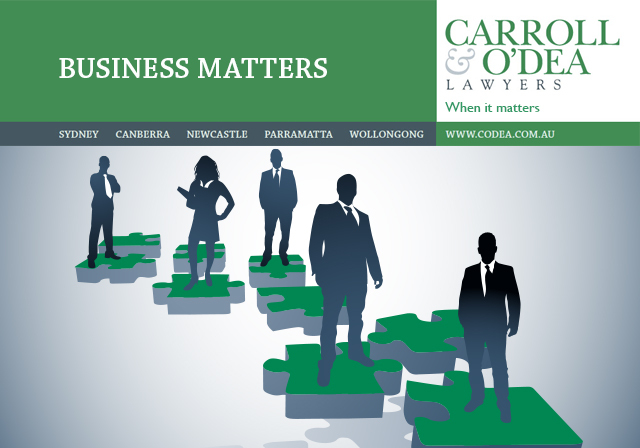 Welcome to the first edition of ‘Business Matters’, a newsletter for Carroll and O’Dea business clients and friends. We aim to be topical and to go behind the news and provide some commentary on current legal issues affecting business. Of course, we can only ever provide information of a general nature but will try and tailor our content to our clients’ needs as best we can. We welcome your feedback on the bulletin as we aim to provide something of value rather than in-box filler. Please feel free to pass this on to other people who may find it interesting. Finally, we take this opportunity to wish you all the best for the new financial year. A recent decision in the Supreme Court of NSW Court of Appeal has crystallised the law in NSW on how to treat overhead expenses when calculating expectation damages where a fixed term contract for services has been wrongfully terminated. See the North Sydney Leagues’ Club Limited v Synergy Protection Agency Pty Limited  NSWCA 168 (link here). Synergy Protection Agency Pty Limited (Synergy) was responsible for the provision of security services to North Sydney Leagues’ Club Limited (Norths) and the Court of Appeal had previously, unanimously found that Norths had wrongfully terminated two contracts which required Norths to use only Synergy’s services at Norths’ premises in North Sydney and Tweed Heads for the full contract term of three years (see Synergy Protection Agency Pty Ltd v North Sydney Leagues’ Club Limited  NSWCA 140 link here). Synergy claimed damages by reason of the wrongful repudiation and the question before the Court of Appeal was in relation to the amount of Synergy’s expenses that needed to be deducted from its estimated future revenue (which would have been earned had the contracts been allowed to run for the full three year term) in order to arrive at a fair value for expectation damages. The Court of Appeal affirmed the correct approach in this case was to deduct from forecast revenue those expenses which would have increased when the contract was being performed, and would have diminished when it ended. Therefore outgoings such as rent and wages for the Chief Executive Office, Operations Manager and Office Manager should not be taken into account because they did not decrease as a result of the termination of the contract. This Court of Appeal judgment provides an extremely useful guide to parties (and their lawyers and expert accountants) who find themselves in a similar dispute when a fixed term contract for exclusive services has been prematurely and wrongfully terminated. Carroll and O’Dea’s Commercial Litigation & Dispute Resolution team acted for Synergy and are pleased to have achieved a favourable outcome for their client in what was a long and hard fought legal dispute. The ‘objective theory’ of contract has been given a recent workout in New South Wales by Courts interpreting leases. While the results were contradictory, they do underline the need for business to be practiced honestly. 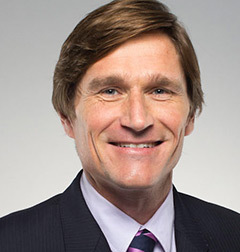 The New South Wales Administrative Decisions Tribunal decision of Toga Pty Ltd v Perpetual Nominees Limited and Ord (link here http://www.caselaw.nsw.gov.au/action/PJUDG?jgmtid=158232) was extraordinary in ordering that one party consents to vary the contract so as to uphold the ‘fidelity of the bargain’ and disregard the part where is said “rent free” in an option lease. What would have been the bargain of the century was undone by the Tribunal asserting that the lessee was obliged to respect the underlying spirit of the agreement despite the glaring part of the document which said “rent free”. Pembroke J likened the Lessees to being “like Brer Rabbit, they were lying low and saying nothing” and described their knowing deception as “not merely sharp, it was dishonest.” The result being that the Court ordered that the lease be rectified to amend the offending clauses. Despite Pembroke J’s criticism of going beyond the intention of the contract to find the true meaning of the agreement (as was the case in Toga), he did see a need to tear down the effect of the written agreement in cases of fraud and dishonesty. Accordingly, the emphasis placed on the ‘fidelity of the bargain’ in Toga was short lived in the wake of Casquash which was decided in a higher Court and therefore should be the preferred interpretation. What is clear is that the law will not place the meaning of the plain written words in a contract above the importance of dealing in negotiations and contracting in good faith. In 2010 the Federal government introduced new laws providing for unfair terms in standard form consumer contracts to be void. In January 2011, these laws became part of the Australian Consumer Law, which has standing as law on a Federal and State level. A recent decision in the New South Wales Consumer, Trader & Tenancy Tribunal (“CTTT”), Malam v Graysonline (link here http://www.austlii.edu.au/au/cases/nsw/NSWCTTT/2012/197.html), considered the application of these new laws to contracts entered into online. There was evidence that the goods were broken at the time they were picked up. Graysonline sought to rely on terms of the user agreement that purported to deny the buyer the right to return goods that had been picked up, once they had left the warehouse. The CTTT found that the terms were not reasonably transparent for reasons including that the terms were part of a 13 page agreement that was provided online. Transparency of the terms is one of the factors that courts and tribunals must consider when deciding whether the terms are unfair. While this is a decision of a tribunal rather than a court, it is likely to have considerable influence over the interpretation of the unfair terms laws in New South Wales, as disputes under those laws will normally be heard in the CTTT rather than in New South Wales courts. Especially in the case of online agreements, businesses who are supplying to consumers should take some care to ensure that the agreement is clear and concise. A 20 page agreement to buy a box of crayons is disproportionate to the transaction (no matter how darn great those crayons are) and likely to leave a court or tribunal with a lot of sympathy for the consumer who says they did not read it. In the context of this decision, the saying “less is more” takes on a very literal meaning – making an online agreement too long increases the chance of some of the terms being void. Service providers and online merchants should undertake careful review of their online agreements to see what parts they really need and eliminate parts they do not so as to increase the chances of the agreement being enforceable. Generally, the length of the agreement that will be enforceable may be related to the size and importance of the transaction involved. NSW State Taxes- Not dead yet! When GST was introduced in 2000, this was meant to replace more inefficient state taxes. Over the years various timetables have been set by law for their abolition, and most Australian states have gone further down that path than NSW. The NSW Treasurer announced a further extension of NSW State taxes in his June 12 budget, to compensate for GST revenue not keeping pace with government services costs. Firstly this included an extension from the scheduled 1 July expiry date of loan security duty, being stamp duty on loans secured over property in New South Wales, other than residential property. NSW is the only State where this particular duty remains, and it also causes difficulties where clients arrange a loan secured over property in several States. Secondly, the abolition of duty on certain business asset transfers (including transfers of shares in private companies) has also been postponed. Thirdly, the Treasurer has raised the possibility of a new tax on developed real estate to fund fire and emergency services costs, in place of the existing insurance tax which only applies to those who have insurance. This particular proposal would raise, for the first time, the prospect of regular valuations of improved property, compared to the unimproved land value used for rates and land tax purposes. It would be interesting to see whether such a tax is subject to the various special arrangements that also apply to land tax, including the threshold concessional amount of $396,000 for individuals and for trusts which meet the requirements to be a “fixed trust” for NSW land tax purposes. With State taxes seemingly a long term fixture in NSW, land holders should be considering whether their existing trusts may be brought within the concession and the desirability of new trusts being established so as to meet the exemption conditions. The exemption conditions for a unit trust effectively require upgrading of the rights of unit holders so that each unit holder has a veto over most matters. That may be unsuitable for unit trusts having participants outside immediate family. The requirements for the land tax friendly trust also include a reduction in the flexibility normally contained in a unit trust deed, including restrictions on accumulation of income, redemption of units and other similar steps. 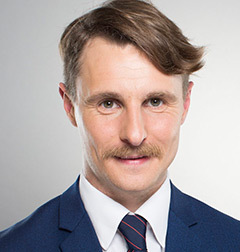 The conversion of existing unit trusts to be “land tax friendly” is a possibility for some trusts, but having regard to potential Capital Gains Tax and other issues, it is important to select the right form of unit trust at the beginning of a venture. 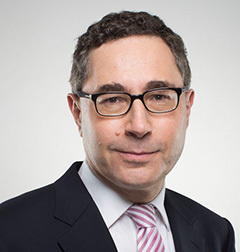 Adrian is a specialist in the area of dispute resolution and commercial litigation. 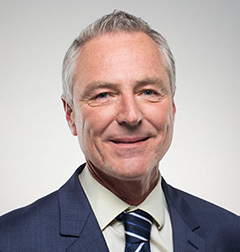 Martin’s diverse career – journalist, guitarist, lawyer – means he has the life experience and the professional expertise to provide what his clients want when it matters.